The Daniel Craig-starrer James Bond movies have been a very mixed bag for me. I loved Casino Royale but hated Quantum of Solace. Where one presented a really shiny reimagining of the classic character for the modern times, and made him fit the new world by being relevant, the other was a sequel that the series neither wanted nor needed. It ran roughshod on all the emotional pay-offs at the end of the first movie and degenerated into a location-hopping mess that went nowhere. 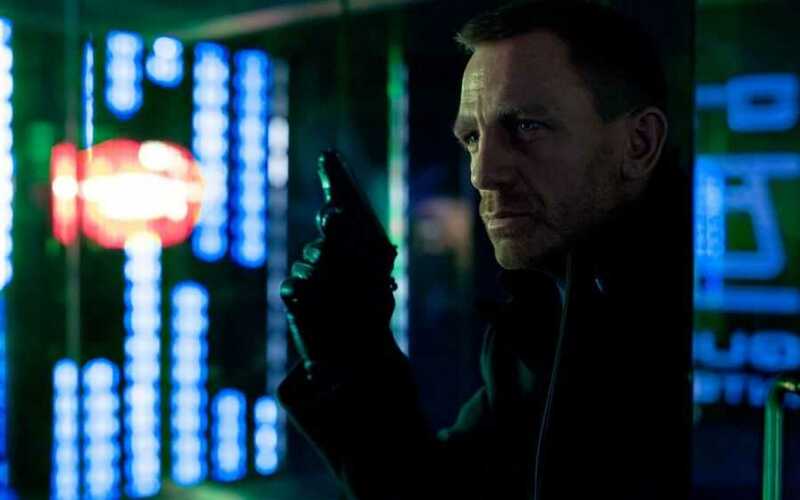 When Skyfall was announced, there was a suggestion that the makers of the film would try to distance themselves from everything that had made Quantum of Solace so bad and go for that which made Casino Royale so great. When I saw the film a few days back, my first gut reaction was that this was a pretty darn good movie. Daniel Craig rocked it as usual. Judi Dench was just marvelous. The new Q was pretty nifty. There were some nice touches that referenced the older movies. The Bond Girls were good. As a total package, it appeared that Skyfall had indeed improved upon Quantum of Solace tremendously. But then I started thinking about it, spurred by various internet discussions. 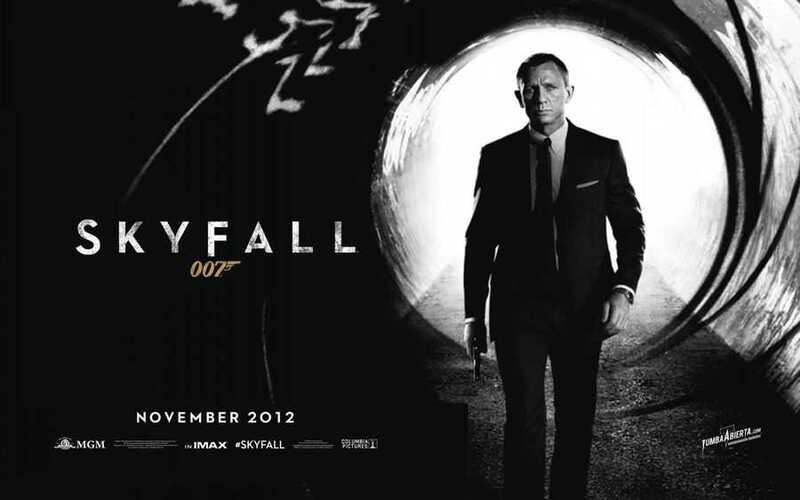 I started to realise that Skyfall wasn’t actually all that it’s cracked up to be. Nothing on the scale of Prometheus, but dangerously close. Skyfall is still a far better movie than Quantum of Solace was, that holds true well enough, but it doesn’t approach anywhere near Casino Royale. The best thing about the movie is the professional and personal relationship between Judi Dench’s M and Daniel Craig’s Bond. From the very first film where Judi Dench stepped in as the head of MI6, she has been giving one strong performance after another, with Skyfall being her pinnacle performance, the one to beat them all. Her performance is all the more striking because her M is a woman in a man’s world, the high-level intelligence politics world. Her M is always confident of her position, in terms of how both the script and Dench herself portrays her. In the last decade and more since she’s stepped in, she has been a highlight of the entire franchise, because of what her casting represents: a significant shift in the cultural trend of this world. She worked superbly with Pierce Brosnan’s Bond, and she worked even better with Daniel Craig’s Bond. More with the latter than the former, her character has been empathic and supportive. Whenever something happens to Bond, and there is an emotional scene involved, you can really believe that M is touched by what has happened, in a way that the previous actors before her never were. And that brings me to Daniel Craig. Every Bond actor before him has brought something different to the table. In Skyfall Daniel Craig seems to echo his predecessors quite a bit, particularly Timothy Dalton and Roger Moore, while doing something of his own. In this movie, you really do feel that Bond is getting old. He’s no longer that hotshot new agent we saw in Casino Royale, but a more mature and careful agent. I suppose his near-death experience, which involved getting shot by his own backup and falling into a raging waterfall, might have something to do with that. As a viewer, I really found myself empathising with Bond in this film. In the previous two films I was just a mere observer who was enjoying the experience (or not), but with Skyfall I found myself emotionally very moved by Craig’s performance, especially towards the end. Skyfall marks a significant shift in Bond’s world, in more ways than one, and Craig impresses that change on the viewer with his acting. In the supporting cast category, Naomie Harris’ Eve and Ralph Fiennes’ Gareth Mallory were standouts. Decent to great acting, with characters that I really enjoyed. The “reveal” at the end of the movie about their “new positions” in MI6 were very unexpected, and even welcome, given how events pan out, although I did have a problem with how it plays out for Mallory (more on that below). Javier Bardem’s villain. Bloody disappointment. The all-seeing, all-knowing villain who can bloody well time exactly when a train is going to rudely and explosively interrupt Bond’s hunt for him in the sewers of London. His plan was always what you see on the screen, and all the other characters are dumb because they can’t anticipate him. Always so smug, so… in control of himself and events around him. For him, nothing can go wrong. Such a disappointment. This is the first time I’ve seen Bardem on screen and I have to say that I’m less than impressed with him. Both the script and the actor are a big letdown where the villain Raoul Silva are concerned. Bérénice Marlohe’s Bond Girl. There was so much potential here for Sévérine to be a character of force in the movie, but that never materialised. She is [SPOILER ALERT] killed off in the most senseless way of any other Bond Girl in the franchise. Marlohe performs her role with the energy and flair that I expected, but it’s just that her character was given an incredible short shrift. I actually wondered what the point of her character even was. Naomie Harris’ Eve supplanted her in most of the scenes anyway. There wasn’t even any genuine sexual or romantic tension between Sévérine and Bond. She was just there in the script for the hell of it. The reversal of the new cultural trends within the franchise. So, Judi Dench’s M dies in the end, succumbing to her injuries. The top position in MI6 is now open, and in steps Gareth Mallory, the tough-talking man who provides a sort of oversight of the intelligence group, at a time when MI6′s entire existence is being questioned by the British government. In him, M has one of her biggest opponents and an ally at the same time. This is a really uncertain topic for me to talk about since I’m not clear on it myself. On one hand, Mallory stepping in is a sign that a man is once more in charge, where there was a woman, and goes back to the pre-Dench days. On the other hand, it is a perfectly plausible change with the argument that MI6 just does not have a woman capable of stepping in at that high level of its organisation. My main problem is why was Dench’s M killed off at all. Silva was such a terrible villain that one of the lead characters dying because of him is nothing more than idiotic and undeserved. He didn’t even kill her himself! The emotional impact of her death is in how this impacts on Bond at a personal and professional level. And that’s where my reservation about Mallory stepping in to her shoes comes from. Dench has done such a stellar job with the character and I don’t see Fiennes as having that same kind of presence on-screen in the same role. Enough with the negativity I think, since we are nearing the end of the review. Some of the positives of the film are the scenes that are bold, in the Daniel Craig era. There is this one scene set in Macau where Bond arrives at a water-locked casino on a small river-boat. In that entire sequence, Craig is every inch the Bond that both Sean Connery and Roger Moore were. When he is framed by the bright lights and decorations of the casino, as he passes through the “gate”, that impression is compounded. A truly fantastic scene. There is another Macau scene, in which Bond has to take out a sniper in an abandoned/under-construction building. There are lots of bright neon lights and glass doors involved in that sequence. It gives the scene a really colourful air and a cyberpunk theme that I loved. Would have loved more of that in the movie. And the new Q? Great move. I applaud it. No more cantankerous oldies, but genuine new-blood. Even though I found his comments about exploding pens and fancy cars to be insulting. I mean come on, the fun part of the Connery-Brosnan films was always the gadgets! And the cars! There are some good aspects of the film, and there are some bad aspects, just as with most films, especially the Bond movies. It’s just that here the balance is skewed towards the bad aspects, since the good aspects by themselves aren’t enough at all to make this a great Bond movie. So Skyfall remains a so-so Bond movie. Posted on February 28, 2014, in Movie Reviews, Review Central and tagged Action, Albert Finney, Bérénice Marlohe, British Intelligence, Columbia Pictures, Daniel Craig, Drama, Eon Productions, Espionage, Film Review, Intelligence, James Bond, James Bond 007, Javier Bardem, Judi Dench, M, Metro-Goldwyn-Mayer, MI6, Movie Reviews, Naomie Harris, Ralph Fiennes, Review, Review Central, Sam Mendes, Skyfall, Spies, Superspies. Bookmark the permalink. Leave a comment.